The Eagles like Jalen Mills' versatility. 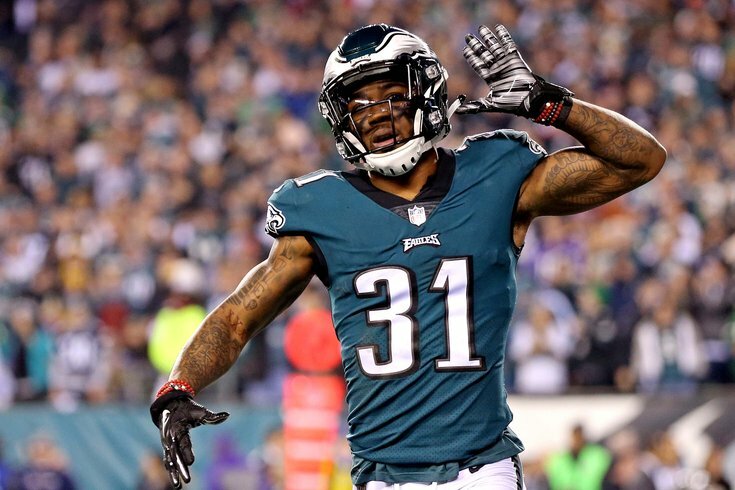 For the first time in a long time, the Philadelphia Eagles are flush with talented, young cornerback, who also happen to have a fair amount of experience in the NFL for their ages. While the Eagles' corners have a combined 114 career games (plus the playoffs) under their belts, they do not have a corner on the roster who has primarily played in the slot in the NFL. When asked who could potentially fill that role in 2018 at the NFL Owners Meetings in Orlando, Doug Pederson mentioned Jalen Mills. Who will be 'this year's Nelson Agholor' for the Eagles? Mills is a player the Eagles could potentially start on the outside and then move into the slot when they go nickel, which in reality is most of the time. Another option that shouldn't be completely ruled out is the possibility of the Eagles drafting a slot corner at pick No. 32. It should be noted that there are probably two corners that project to the slot in the NFL that are worthy of the 32nd overall pick, and the Eagles brought them both in (or plan to bring them both in) for visits to the NovaCare Complex. They are LSU's Donte Jackson and UCF's Mike Hughes. At any rate, on April 1, 2017, the Eagles' corners were Mills, Robinson, Ron Brooks, Dwayne Gratz, Aaron Grymes, C.J. Smith, and Mitchell White. The roster has come a long way at that spot in one year.